Optimal transport (OT) has become a fundamental mathematical theoretical tool at the interface between calculus of variations, partial differential equations and probability. It took however much more time for this notion to become mainstream in numerical applications. This situation is in large part due to the high computational cost of the underlying optimization problems. There is however a recent wave of activity on the use of OT-related methods in fields as diverse as computer vision, computer graphics, statistical inference, machine learning and image processing. In this talk, I will review an emerging class of numerical approaches for the approximate resolution of OT-based optimization problems. These methods make use of an entropic regularization of the functionals to be minimized, in order to unleash the power of optimization algorithms based on Bregman-divergences geometry. This results in fast, simple and highly parallelizable algorithms, in sharp contrast with traditional solvers based on the geometry of linear programming. For instance, they allow for the first time to compute barycenters (according to OT distances) of probability distributions discretized on computational 2-D and 3-D grids with millions of points. This offers a new perspective for the application of OT in machine learning (to perform clustering or classification of bag-of-features data representations) and imaging sciences (to perform color transfer or shape and texture morphing). These algorithms also enable the computation of gradient flows for the OT metric, and can thus for instance be applied to simulate crowd motions with congestion constraints. We will also discus various extensions of classical OT, such as handling unbalanced transportation between arbitrary positive measures (the so-called Hellinger-Kantorovich/Wasserstein-Fisher-Rao problem), and the computation of OT between different metric spaces (the so-called Gromov-Wasserstein problem). Gabriel Peyré is senior researcher at the Centre Nationale de Recherche Scientiﬁque (CNRS), working in Ceremade, University Paris-Dauphine. He his head of the research group SIGMA-Vision, which is funded by the European Research Council (ERC). SIGMA-Vision activity is focused on developing mathematical and numerical tools in sparse regularization and optimal transport, with applications in computer vision, graphics and neurosciences. 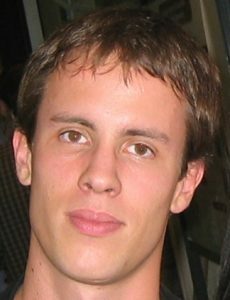 Since 2005 Gabriel Peyré has co-authored 55 papers in international journals, 70 conference proceedings in top vision and image processing conferences, and two books. He is the creator of the “Numerical tour of signal processing” (www.numerical-tours.com), a popular online repository of Matlab/Python/Julia resources to teach modern signal and image processing.